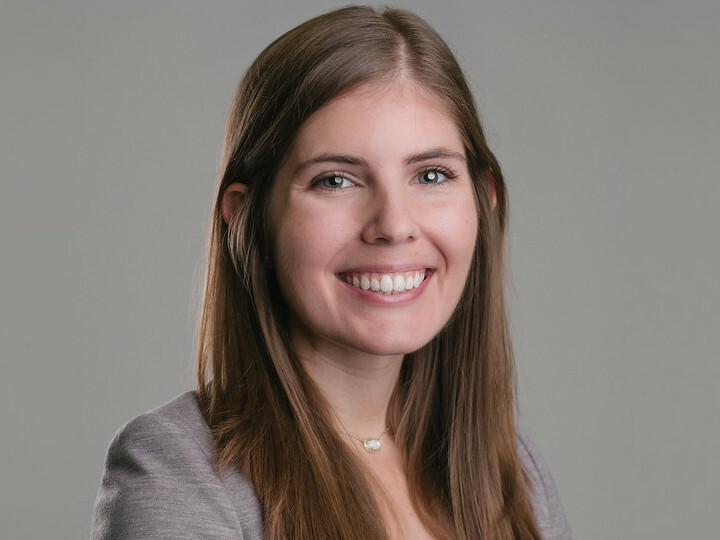 University of Houston psychology doctoral student Brooke Kauffman is helping people with anxiety and depression, creating personalized feedback to help them quit smoking. Of all the groups that try to quit smoking, it seems hardest for those who suffer from anxiety and depression. The health effects are jarring: People with mental illness or substance use disorders die about five years earlier than those without these disorders and many of those deaths are caused by smoking cigarettes, according to the Centers for Disease Control and Prevention. That’s why University of Houston psychology doctoral student Brooke Kauffman is targeting that group, creating personalized feedback to help them quit smoking. She’s assisted in her efforts by $104,064 from the National Institute on Drug Abuse. Kauffman’s funding is through a highly competitive F31 graduate training fellowship from the National Institutes of Health. The Department of Psychology has eight current graduate students with these grants, 13 since 2014, and anticipates an increasing rate of applications for these grants. To address smoking among those who suffer anxiety and depression, Kauffman is examining distress tolerance, the skills needed to help tolerate physical and psychological distress. Although there has been progress in targeting distress tolerance to decrease risk for emotional disorders and facilitate success in quitting smoking, no targeted efforts have focused on addressing distress tolerance in earlier phases of the quit process like in the motivation period or in the phase of pre-cessation (thinking about and preparing for quitting). So Kauffman will do just that, offering services to patients at the university’s Anxiety and Health Research Lab/Substance Use Treatment Clinic. “We are not targeting treatment seeking people. These patients may not even be thinking of quitting, but we will ask them while they’re here for psychological services if they would like to participate in the study,” said Kaufman. There is room for 130 patients in the study and individualized, interactive online feedback will await each one. Depending on what they answer, they will be led to different areas of the survey. For instance, when asked how many cigarettes they smoke each day, their results will be compared to how many cigarettes are smoked by others in the United States or in Texas to compare their habits. This way they get feedback of where they stand relative to other smokers. Interestingly, most people are surprised by their results. “They also get to enter guesses as to how much others smoke compared to themselves. Typically they think people smoke a lot more than they smoke and when they see that others smoke less, it provides normative feedback that can really open their eyes,” said Kauffman who compares the process to reviewing your electric bill. “When you review your usage on your bill you are often surprised how much electricity you may be using comparative to others and you may try to reduce your electric usage and your bill,” she said. Kauffman believes her study will be increase motivation, confidence and intention to quit while reducing perceived barriers. “Regarding withdrawal symptoms, we will work with patients to withstand those symptoms and to learn to cope with distress through other means besides smoking,” she said. Once thought to be a coping mechanism, smoking can actually increase anxiety. “When you’re going through withdrawal, even for periods between cigarettes, the symptoms can mimic those of anxiety including a racing heart and shortness of breath,” said Kauffman. Smoking remains the leading cause of preventable death and disability in the United States (US), contributing approximately 480,000 premature deaths annually.